...the Contour Kit, $40, comes in the Light suggested shades or you can build a Custom Palette, also $40, with the shades just right for your needs. 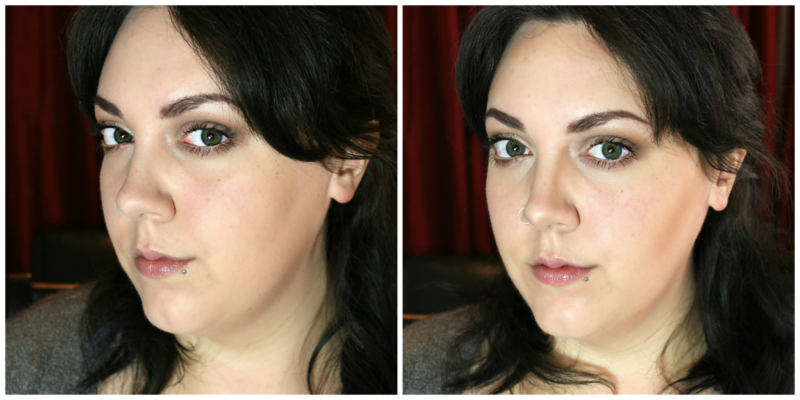 I ended up picking the Contour Kit as I am pretty fair and it seemed just about right for me. The nice thing about both ways to buy is that the palette can be refilled if you favor a shade more than another or want to change the shades out. Individual Pans are $14. This feature is also great for makeup artists. The powders can be used on the eyes as well. 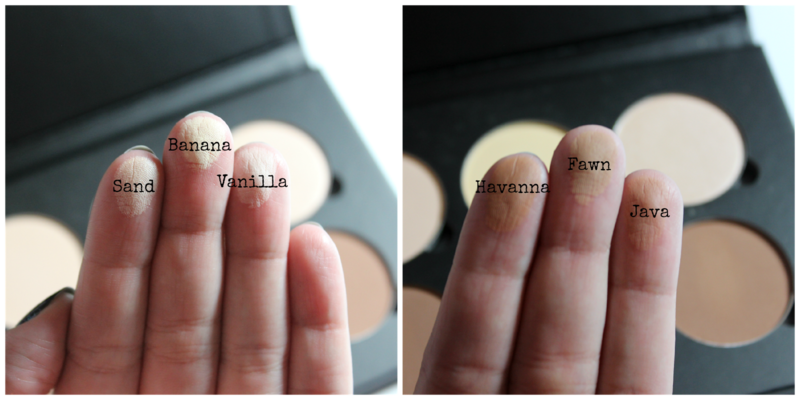 The texture of these powders is nothing less than buttery-smooth-blending-heaven. This is my first Anastasia purchase outside of brow products and I must say I am impressed. *claps* I have seen a lot of contouring shades and they are not all created equal. You can tell these shades are a work of passion as every single hue serves a purpose and functions beautifully. Sand is a shimmery-highlight that has an angelic champagne sort of ...well...sand tone and looks lovely on cheek and brow bones. Banana was the shade I was unsure of what I was going to use it for as I don't "Kim K contour" really, what I found it great for was setting my under eye concealer, as I am a panda most days this stuff really help with further counter acting the purple tones. Vanilla is another great setting powder for under the eyes or for creating all matte dimension to the face. Havanna is the deepest shade and the only one the teeters on a light bronzed tone which was nice for warming up my face around the temples and hairline. Java looked kind of dark in the pan, but on the hollows of my cheek it was lovely. I have also used this as a transition tone for a smokey eye and it looks really nice and blends fabulously. Here's a before and after. I went for the full on contour drama today so that the full effect was seen. It wasn't a subtle or super natural look, it was however glamorous. I have done much more natural looks with this palette too and it was just as easy to work with. As always Anastasia Beverly Hills is Cruelty Free. Have you tried any of the contouring products from Anastasia Beverly Hills? If so, what are your feeling on it and what is your go to contouring product? Tell me in the comments! I love to hear from you guys. If you haven't followed my blog and you wan to see more of these post be sure to follow me through Google or Bloglovin'. *drum roll* Lipstick Is A Life has joined Facebook!